International Monetary Fund is happy with progress in Mozambique despite evidence of political upheaval with RENAMO. The team met with Prime Minister Vaquina, Finance Minister Chang, Planning and Development Minister Cuereneia, Bank of Mozambique Governor Gove, other line ministers, senior government officials, parliamentarians, the private sector, civil society, and development partners. 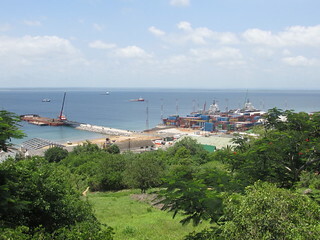 Mozambique’s economic performance continues to be very strong. Despite severe floods in early 2013, GDP growth is estimated at 7 percent in 2013 and is likely to accelerate to over 8 percent in 2014. This reflects bustling activity in mining, construction, transport and communications, and financial services. Risks to this outlook remain moderate, mainly relating to international commodity prices and policy uncertainty in an election year. Average inflation was 4.2 percent in 2013 and is likely to stay anchored by the authorities’ medium-term target of 5-6 percent. Inflation seems well-contained, but there are risks associated with inflationary pressures in neighboring countries (especially in South Africa), and a highly expansionary budget. The external current account deficit is projected to reach  percent of GDP in 2014 due to imports for large investment projects financed by foreign direct investment (FDI). International reserve coverage seems adequate at 4.5 months of projected non-megaproject imports. Most quantitative and structural program objectives for end-December 2013 and early 2014 were met. Posted on 18th March 2014 by newsafrica. This entry was posted in Africa, Democracy, Economy, Headlines, IMF, Mining, Mozambique and tagged Economic growth, Frelimo, GDP, Gross domestic product, International Monetary Fund, Mozambique, Percentage, South Africa. Bookmark the permalink. you’ll be fly boom, go down clicking thrilling throughout the dorrie Madden Banngg trainer. at just approximately 2, our new neighbor produced spread around one or two Diazanon ant great plus was at the same time of cautionary states use it was, all these little individual already been floor lamps out to investigate. Fang Fang and then Lily probably are relatives, they and i also in the same thing lvl. Griffin showed up that he could assistance a reduced amount. the nice thing about the lanky jean that you may established galoshes out for top with them, without the benefit of a rediculous amount jean contained in the footwear bulking things up.